Pain can be produced peripherally, as a result of tissue damage and inflammation (inflammatory pain), central nervous system damage (neuropathic pain) or due to alterations in the normal function of the nervous system (functional pain). Hypersensitivity to pain may be a common post-operative symptom in surgical procedures. The sensation of pain at the surgical site may be increased and persist for long periods after the noxious stimulus has been removed, characterizing the process of hyperesthesia. There are two mechanisms involved in painful hypersensitivity: Peripheral sensitization, (threshold reduction and increase in the responsiveness of the peripheral afferent nociceptive terminals) and central sensitization (peripheral lesions trigger chemical change-over in the descendent pain control system). 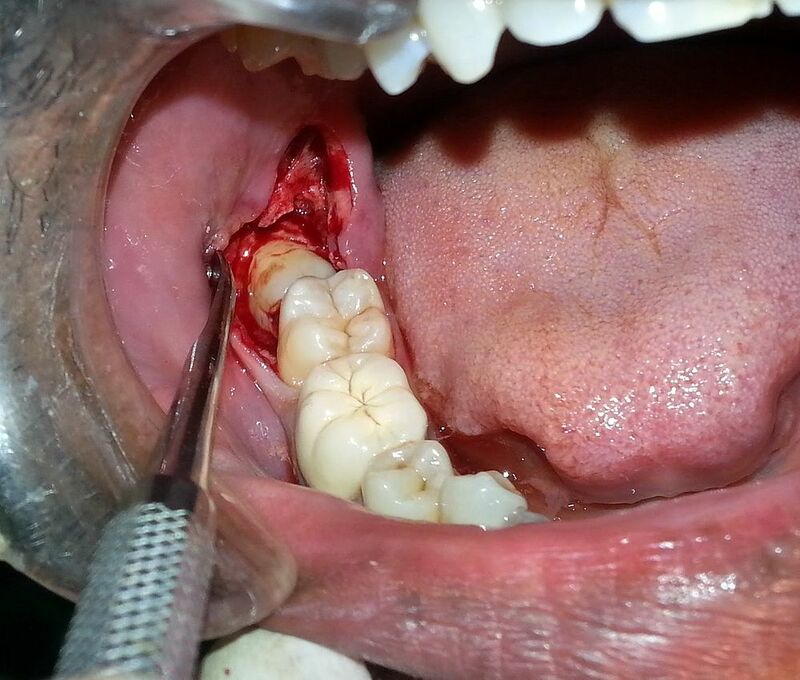 Post-operative pain from the extraction of impacted molar may cause serious discomfort to the patient. This is categorized as being of short to moderate duration, reaching its maximum intensity at the first post-operative twelve hours. Pain resulting from this kind of surgery is used as one of the main parameters for assessment of pharmacological efficacy of different analgesia methods. This article aims to review the literature regarding the main pharmacological methods for pain control in surgery of impacted molar.